Rightwing scold Ann Coulter is tearing into President Donald Trump’s offer to extend protections for the so-called immigrant Dreamers in exchange for Democrats’ support for $5.7 billion for his southern border wall. Coulter lashed out after Trump offered to extend protections for three years under the Deferred Action for Childhood Arrivals for immigrants brought to the U.S. as children. Coulter mocked the plan’s “amnesty,” noting sarcastically that maybe Trump could finally get an entire border wall if “we grant citizenship to a BILLION foreigners.” The In Trump We Trust author also accused Trump of turning into his GOP presidential candidate rival Jeb Bush, who is far more supportive of immigrants. 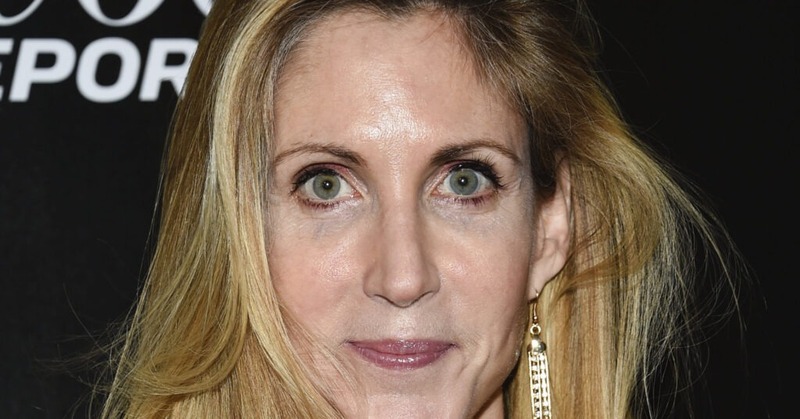 Coulter speaks for extreme immigration hardliners. But many observers believe her opinions sway the president. Conservative pundit Charlie Sykes said earlier this month that if Trump begins to waffle on his insistence on his border wall, White House aide Stephen Miller ― known for his hardline stance on immigration ― would simply “pick up the phone and call Ann Coulter … and the base will get riled up” to bring the president to heel. Earlier this month Coulter told Lou Dobbs on Fox Business that she would rather deport Dreamers than MS-13 gang members. “I’d deport the Dreamers before deporting MS-13 members. You catch them, they at least say, ‘Ok, you got me,’” Coulter noted cryptically.